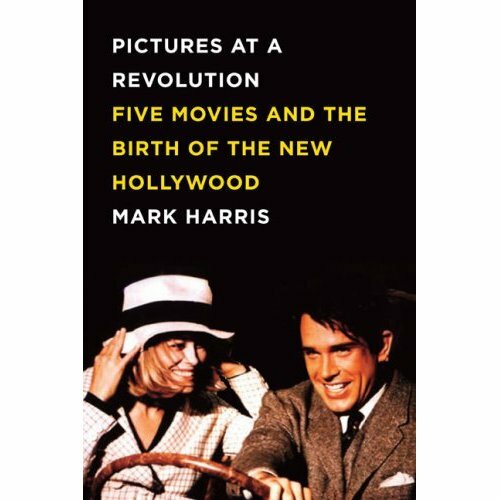 Easily one of the Top 5 best books I’ve read about American film history is Mark Harris’s terrific 2008 tome “Pictures at a Revolution.” “Pictures” focuses on the five films nominated for the Academy Award for Best Picture in 1967 and through chronicling the genesis, production, and release of these films, Harris makes a strong argument that this was the tipping point between the Hollywood of old and the “new Hollywood” that emerged in the 1970s. If you enjoyed Peter Biskind’s seminal 1970s Hollywood chronicle “Easy Riders, Raging Bulls,” “Pictures” is a worthy prequel and, arguably, just as complex and readable as Biskind’s famous book. However, please note that while Harris focuses extensively on the five Best Picture nominees of 1967 (“Bonnie and Clyde,” “Dr. Doolittle,” “The Graduate,” “Guess Who’s Coming to Dinner,” and “In the Heat of the Night”), this isn’t the limit of the tale that “Pictures” tells. Harris paints vivid portraits of the creative forces behind these films (Mike Nichols, Warren Beatty, Arthur Penn, Stanley Kramer, Sidney Poitier, Rod Steiger, Norman Jewison, Rex Harrison, Faye Dunaway, Francois Trauffaut, Buck Henry, Katherine Hepburn, Spencer Tracy, Anne Bancroft, and Joseph E. Levine among several others) as well as other films from the era that were also making a huge impact (“Jules and Jim,” “Who’s Afraid of Virginia Woolf?,” “Blow Up,” “The Sound of Music,” “My Fair Lady,” “A Patch of Blue” among several others). While “Pictures” may not be as gossipy as Biskind’s classic, it serves as a wonderfully entertaining social history of how 1960s Hollywood reflected (and in many cases, resisted) the cultural changes that swept the nation during that tumultuous decade. If you have any interest at all in film or social/cultural history, Harris’s book is a must-read.